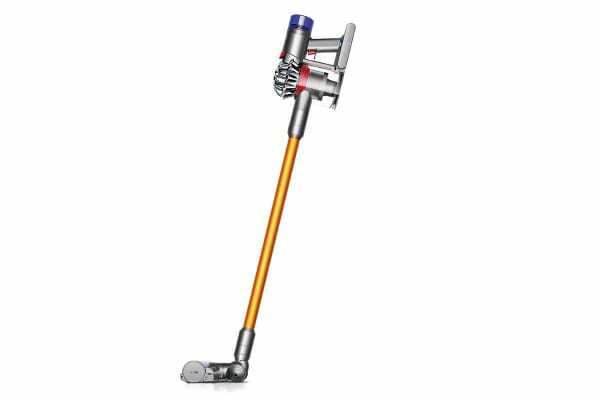 The Dyson V8 Absolute Vacuum Cleaner has a soft roller cleaner head for hard floors and a motorised cleaner head to remove dirt from carpets. Invented for hard floors, the soft roller cleaner head helps remove large debris and fine dust simultaneously, while the direct-drive cleaner head drives bristles deep into the carpet to help remove ground-in dirt. 15 cyclones, arranged across two tiers, work in parallel to increase the airflow and capture fine dust and other allergens. 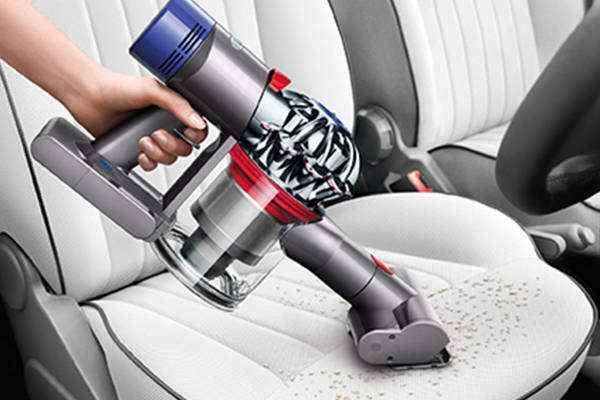 This Dyson vacuum cleaner comes with a HEPA filter which lets you breathe in cleaner air. Dyson V8 is designed to provide up to 7 minutes of higher suction for more difficult tasks, just slide the switch to select power. 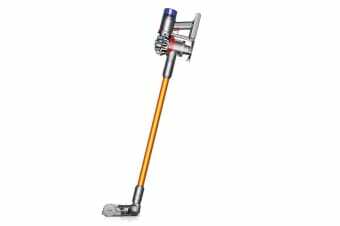 The Dyson V8 vacuum cleaner quickly converts to a handheld for quick clean ups, spot cleaning and cleaning difficult places. 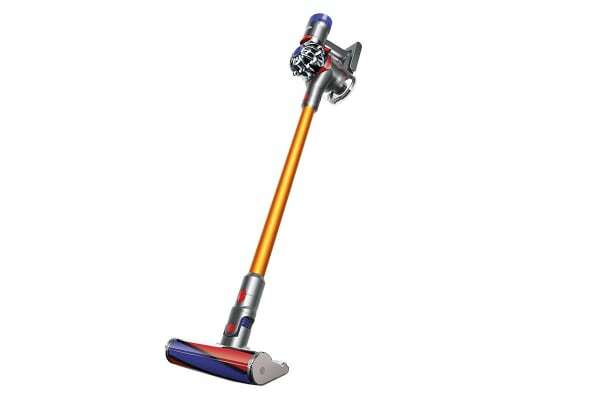 Dyson V8 is powered by a Lithium-ion battery to deliver up to 40 minutes of fade-free suction (Up to 25 minutes with motorised floor tool attached).